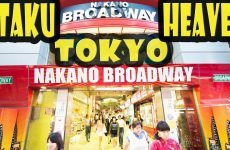 A travel guide for visiting the city of Yokohama, in Japan. Yokohama is Japan’s largest city with 3.7M people. Just a short 30-minute train ride from Tokyo, Yokohama is an easy day trip. 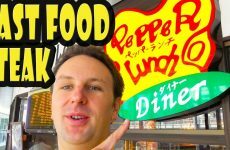 Highlights include: Minato Mirai, China Town, Yamashita Park, and the Sea Bass. 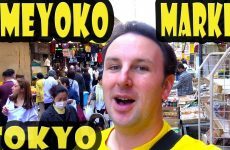 In this video I cover the major highlights of Yokohama that you can visit in a day-trip to Yokohama. After arriving at Yokohama station, I stop at the Tourist Information booth at the JR Yokohama Station to pick-up english maps. 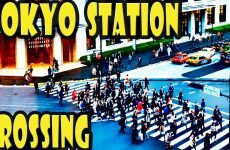 Then I head out the west exit to the Yokohama Station shopping district. 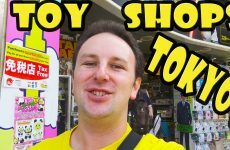 On the West side of Yokohama station there are a great selection of stores including Yodobashi Camera, Japan’s largest Electronics Store, Tokyu Hands Creative Life Store (my favorite store in Japan for cool gadgets), and Takashimaya department store. I then head out to the Yokohama Station East exit to take a ride on the Sea Bass. The Sea Bass is a pedestrian ferry of sorts that goes between Yokohama Station, and Yamashita Park, with intermediate stops at Minato Mirai and the Red Brick Buildings. The Sea Bass has a direct route to Yamashita park that takes about 20 minutes, or an indirect route that makes those two intermediate stops which takes about 35 minutes. Yamashita Park is a neat waterfront park with a nice wide pedestrian sidewalk along the harbor. Yamashita Park often hosts special events on weekends. The weekend that I visited Yamashita Park it was hosting an international food festival. 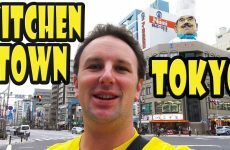 Chinatown is about a 5 minute walk from Yamashita Park… Check out my other video linked below for more info on Yokohama Chinatown. 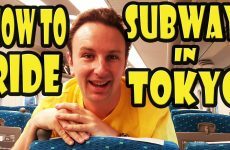 Then I took the subway from Chinatown to the Minato Mirai district. The Minato Mirai district is Yokohama’s newest district with some futuristic looking highrises including the Landmark Tower, Japan’s tallest office building. The Landmark tower is also home to Japan’s fastest elevators. Minato Mirai is best visited at night to see the colorful light displays on the Ferris wheel.